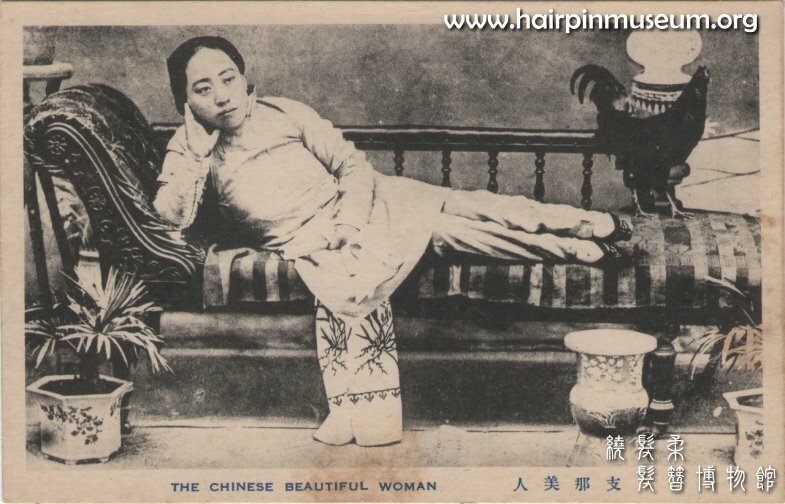 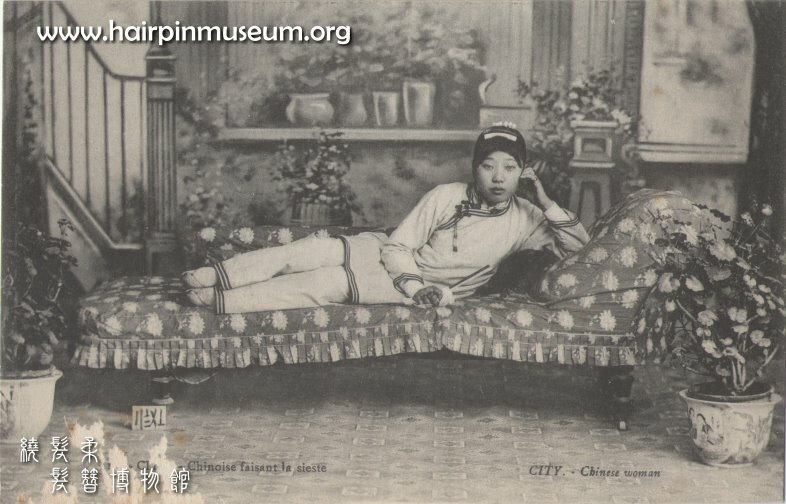 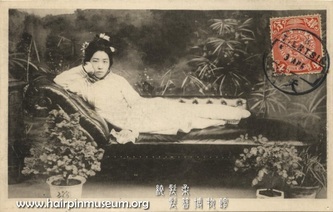 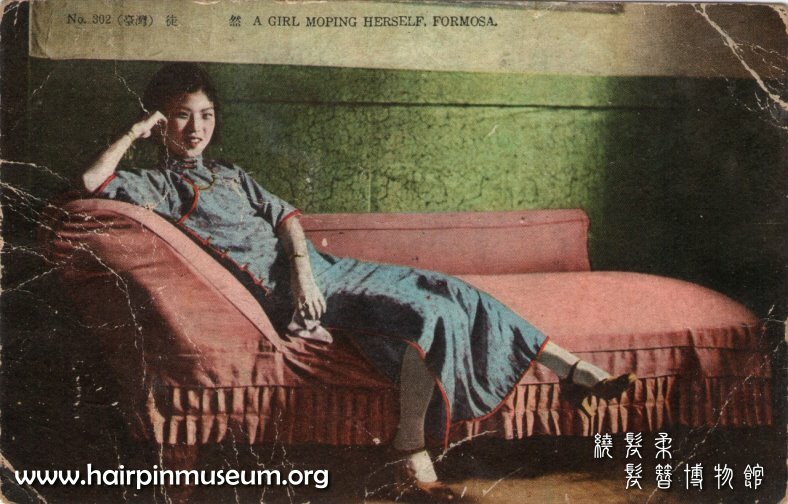 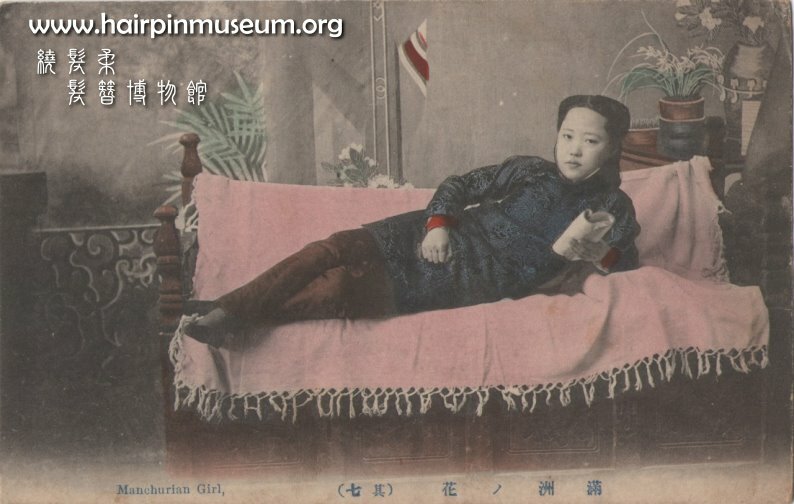 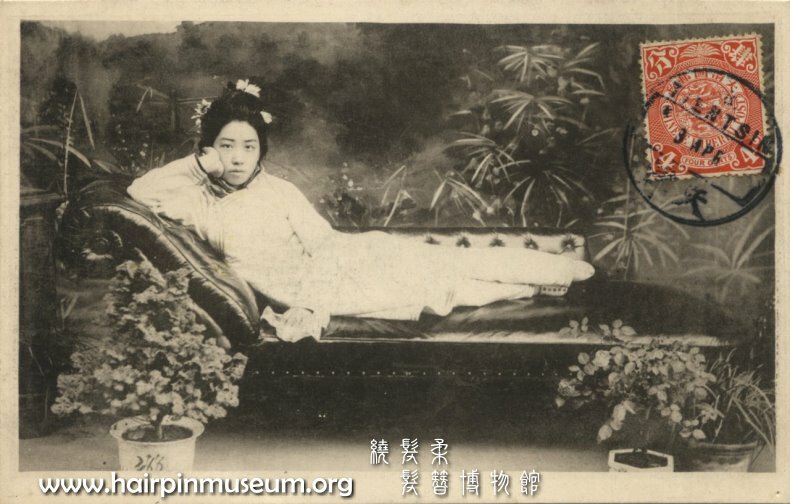 This is a very typical pose in images from the late 19th to early 20th centuries. There are different kinds of couch and sofa. 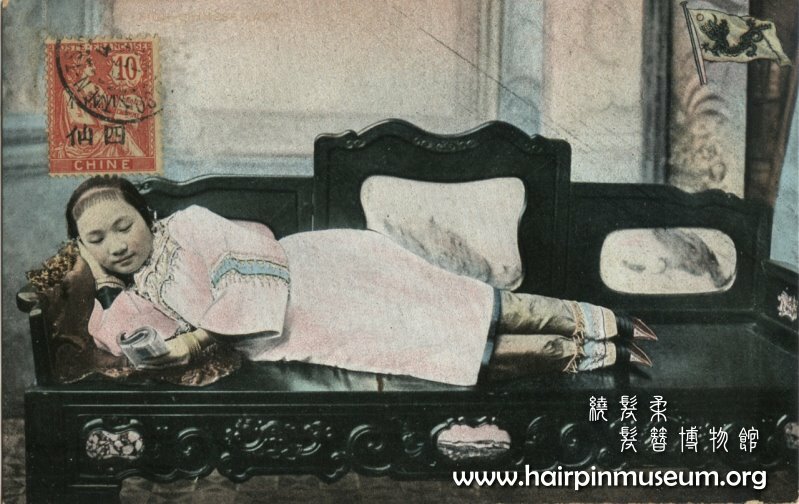 Some of them are traditional Chinese carved wooden seats with no upholstery. However, many of them are western Chaise longue* with leather or tapestry upholstery. This kind of pose originated in the studios of western photographers. 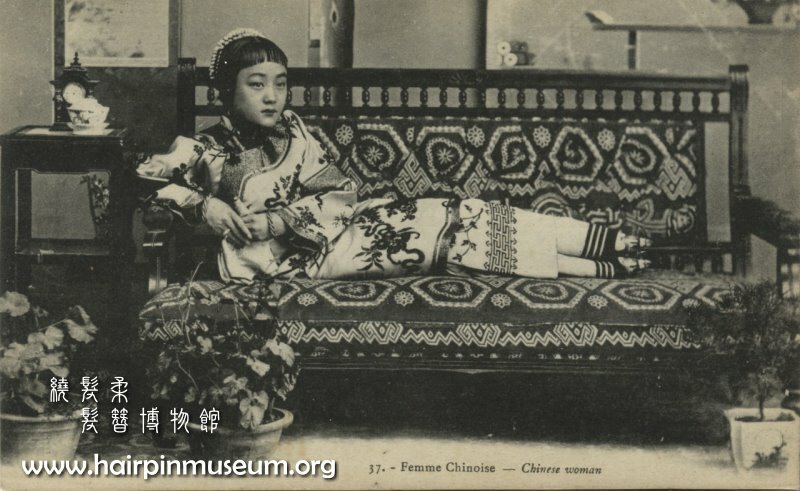 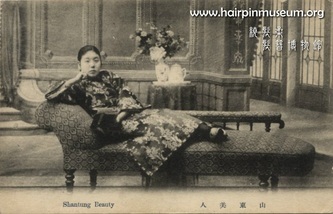 As pieces of furniture the couch or chaise longue became increasingly popular in middle class households and this is reflected in their appearance in photographic studios. The beauties hold different kinds of things in their hands e.g. fans, handkerchiefs or a book. 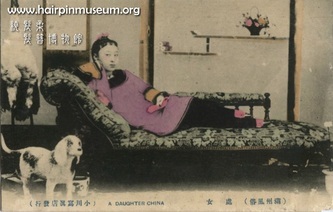 Next to the couch there are typically a potted plant in classic Victorian style. 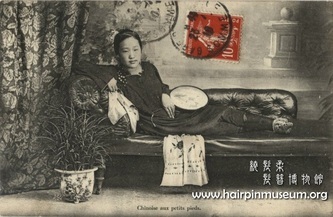 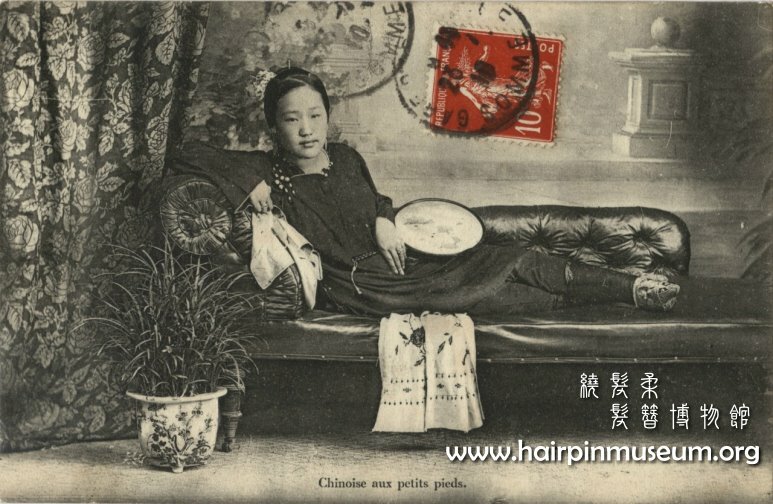 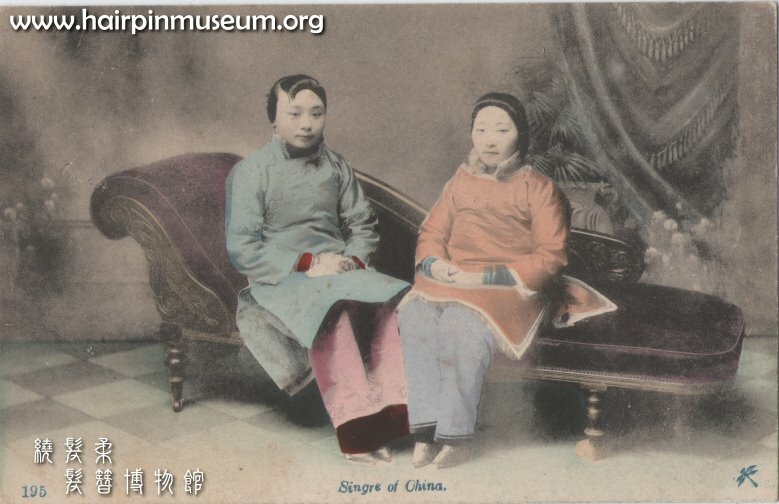 The composition of the photograph reflects on the photographer's design and vision of how the postcard should look.